t like anyone of them. The battle of the flagships just got fiercer with the entry of the LG V40 ThinQ. This phone ships with five cameras, taking its photography game to a whole new level. And it’s a pretty solid offering if you consider its overall specs. 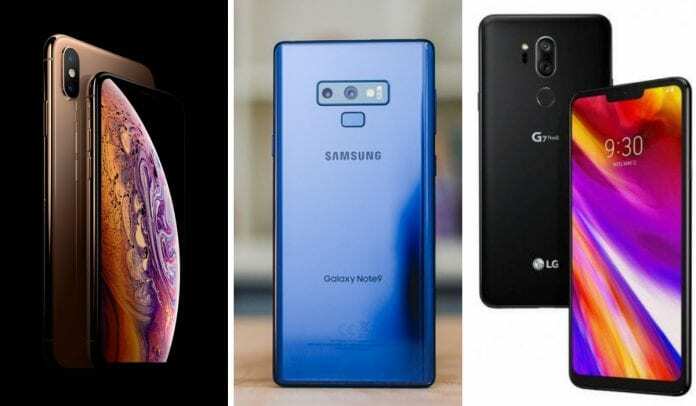 But it’s sure to face tough competition from the likes of the Samsung Galaxy Note9 and the iPhone XS Max . While one impresses with its huge battery and its S Pen abilities, the other delivers a massive display and an advanced new chipset. Let us put all three phones under our microscope to give you a detailed comparison between them. Does this surprise you? The iPhone XS Max has the largest screen of the three, with a 6.5-inch display. The V40 and Galaxy Note 9 come in at 6.4 inches apiece. But it’s the LG V40 that has the highest pixel density, edging the other two. We’ll scrutinize all three in a number of lighting conditions, but they’re all excellent for watching videos, reading stories and keeping up with social networks. All three phones offer glass backs, but if you’re worried about them being slippery, the LG V40 ThinQ has you covered with its special “Silky Blast” process that etches the surface with microscopic pits to create a smoother matte finish. LG and Samsung have placed fingerprint scanners on their handsets, but Apple has, of course, ditched them in favour of its Face ID technology. The rear surface of the V40 ThinQ is the most striking due to its incorporation of the triple camera setup, which we’ll talk about later. The other two phones have dual camera setups, with the speciality of the Note9’s being its variable aperture lens support. The LG phone adopts a dedicated Google Assistant key, whereas the Samsung handset has a special Bixby button. No Siri button exists on the iPhone XS Max of course. When it comes to durability, the V40 ThinQ takes the cake with its military-grade protection. As for water and dust proofing, all these phones are riding the same bus with their IP68 ratings. Two unique things that only the Note 9 has are its S Pen – now Bluetooth-equipped – and its iris scanner, which offers a second biometric authentication method. When it comes to headphone jacks, LG and Samsung are among the few players left in the market offering this port. LG has also equipped its device with a 32-bit Hi-Fi Quad DAC for extra-clear audio over headphones. And it ships with LG’s super loud Boombox speaker system. The Galaxy Note 9, as well as the iPhone XS Max, have pretty good stereo speakers of their own. In case you’re forgetting, you don’t get a headphone jack with the new iPhone, neither do you get an adaptor to use your old 3.5mm headphones in the box. All these phones come with large OLED displays, but while LG and Apple decide to offer them with notches at the top, Samsung chooses to opt out of this practice. The V40 ThinQ features a 6.4-inch 3,120 x 1,440 pixels P-OLED display, while the Note9 adopts a same-sized Super AMOLED panel with a 1,440 x 2,960 pixels resolution. 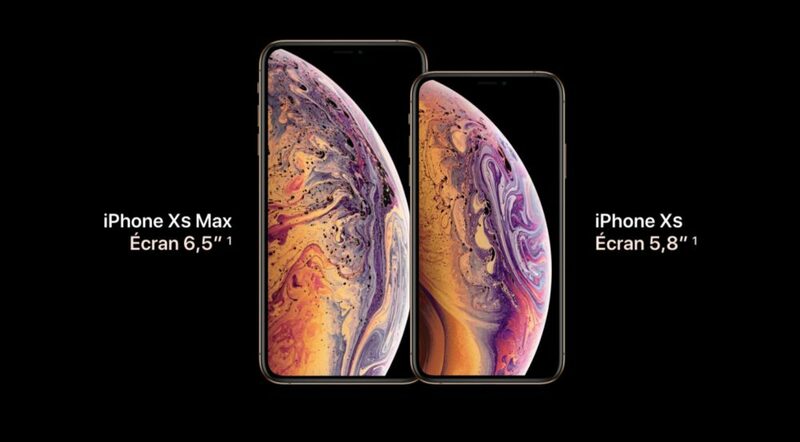 As for the iPhone XS Max, it has the largest display among these three in the form of its 6.5-inch, 1,242 x 2,688 pixel OLED panel. The LG V40 ThinQ runs on the combination of the Snapdragon 845 processor and 6GB of RAM. You can opt for 64GB or 128GB storage options, and you also get a microSD card slot for further expansions. Samsung equips the Galaxy Note9 with its own Exynos 9810 processor which goes pretty much toe-to-toe with the Snapdragon 845. Its 6GB RAM model comes with 128GB of storage, whereas the 8GB RAM variant delivers 512GB of storage. And on top of this, there is scope for more storage using the microSD card slot. Apple uses its own newly developed A12 Bionic chip on the iPhone XS Max. This super advanced 7-nanometer SoC features a hexa-core CPU and a quad-core GPU. It even has an upgraded neural engine for advanced AI tasks. You can purchase this device with 64GB, 256GB or 512GB of fixed storage. There are AI camera settings, like on the Note 9 and Huawei P20 Pro, that change your settings when it senses one of 18 scenes (e.g. pets, blue sky). Like the iPhone XS Max, you can take dramatic photos with digital lighting effects. Most importantly, the LG V40 takes excellent photos. While each phone has its strengths, there’s no doubt that the V40 earns its place in the upper echelons of camera photography. Comparing battery run-time on a single charge is tricky because there are so many factors at play. Battery life isn’t determined by just the size of the battery (the capacity, measured in milliamp hours, or mAh). There’s also an interplay between the processor, how efficient the phone’s base level software is in managing resources, and, of course, what you’re doing with the phone. The LG V40’s battery has a smaller capacity than the Note 9, and so far battery life looks like it’s shorter. However, in real-world usage, LG’s flagship phone is more than capable of taking you through your normal day. 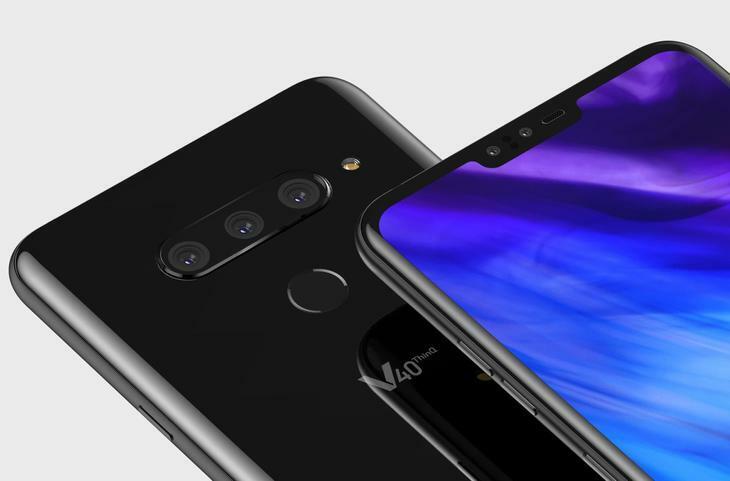 Coming to their front cameras, the LG V40 ThinQ is being touted for its dual sensors. One is an 8MP f/1.9 snapper for usual selfies, while the other is a 5MP f/2.2 camera meant for wide-angle shots. 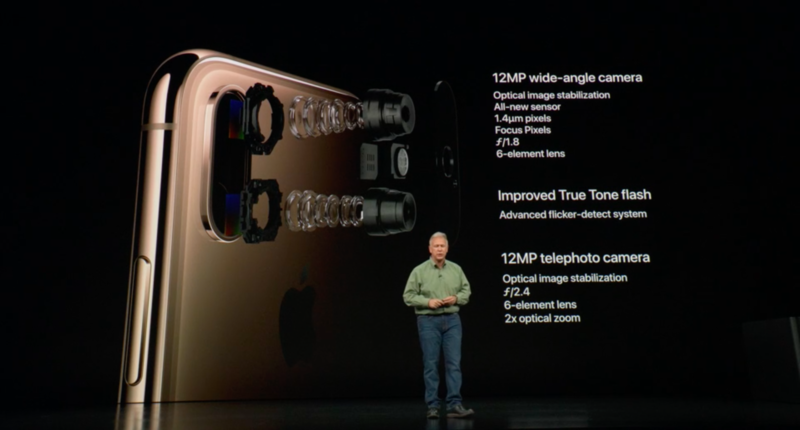 The Samsung handset offers an 8MP f/1.7 camera, while the iPhone XS Max delivers a 7MP f/2.2 snapper. Be rest assured that all these devices deliver great selfies. The Galaxy Note9 definitely wins in the battery department, given that it has adopted a 4,000mAh power cell. The LG phone has a 3,300mAh battery at its core. Apple does not reveal the battery sizes of its devices, but teardowns have revealed it features a 3,170mAh unit. All three phones support fast and wireless charging. However, Apple for some reason still doesn’t ship a fast charger in the box. 6.25×2.97x 0.3 in. 6.37×3.01×0.35 in. 6.2×3.0x.3 in. 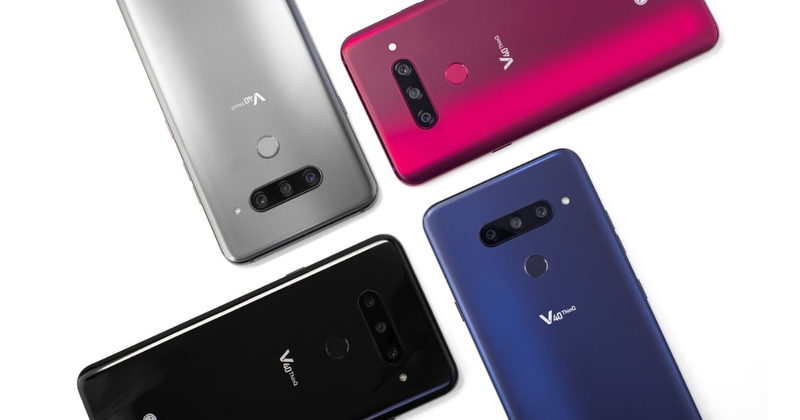 The LG V40 ThinQ is the least expensive big phone of the bunch in absolute terms, but depending on which carrier you buy it with, the savings may not amount to much. In the US, it sells from $900 to $980 (it’s yet to be announced for the UK or Australia). For a little more, you could get a phone with a stylus or longer battery life (the Galaxy Note 9), or access to Apple’s customer service at its retail stores (iPhone XS Max). There’s also the question of storage. 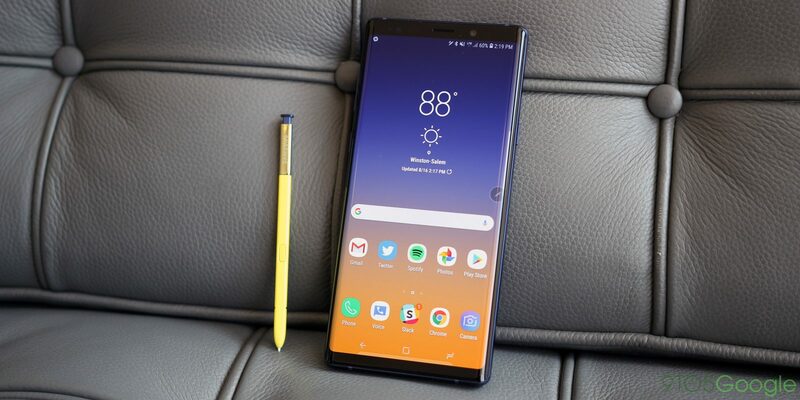 For the maximum capacity, the Galaxy Note 9 gives you the best deal of the three, though if you’re trying to get to 512GB, you’ll save money buying an LG V40 and making up the difference with a microSD card. For the best deal, keep an eye on seasonal promotions. That may very well shift the balance for you one way or another when buying any phone.